We know from South Park that Canada and Canadians are sometimes easy prey for nicknames and general ribbing. Characterized by self-deprecating humor, Canadians take all this teasing in stride. 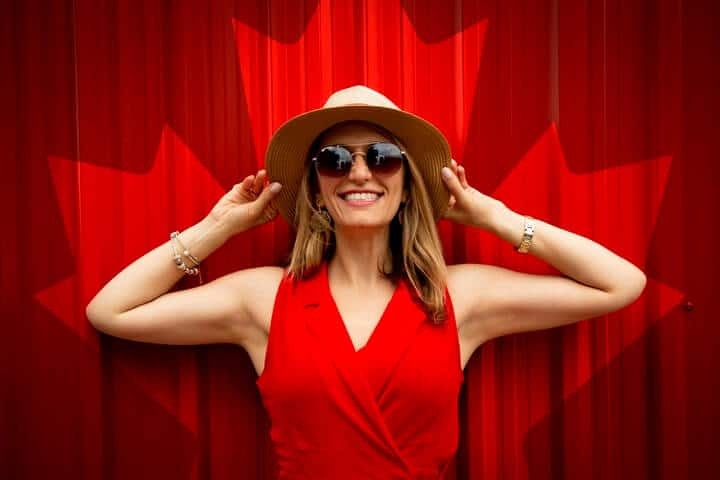 They rest in the socially progressive nature of their country, of universal health care, of pretty sophisticated conservationist policies… and their Prime Minister, Justin Trudeau, rocks it like a Kennedy on social media. But, if you’re a true American, you’ll want to continue the tradition and ascribe a nickname to Canada that’s as original, obscure, and ostentatious as the country itself. Or, maybe you are Canadian and want a backlog of all the times your own country made fun of itself. 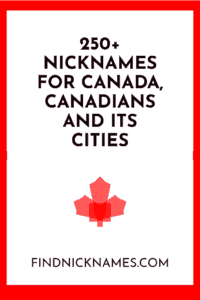 What follows is the most extensive list to date of nicknames for Canada, nicknames for Canadians, provincial nicknames for people, and nicknames for Canadian cities. 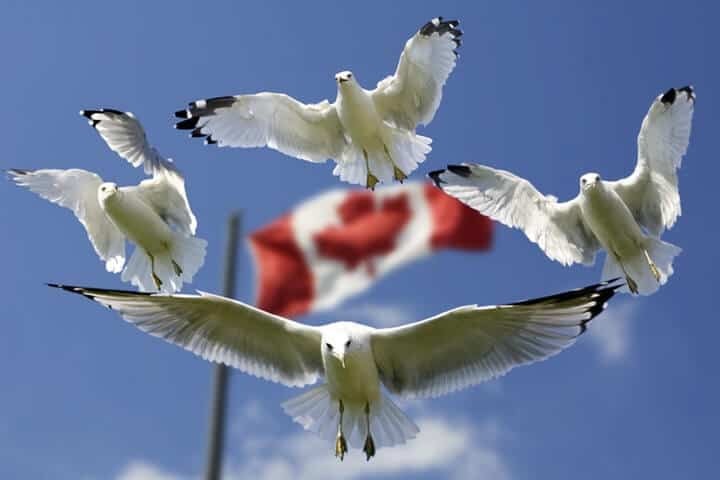 Great White North – One of the most common nicknames, Canada is an expansive, northerly (even arctic!) country that experiences long, harsh winters. Borealia – Refers to the aurora borealis, or the ‘northern lights,’ which can be seen from many rural places in Canada. Rupert’s Land – The Hudson Bay Company was given domain by King Charles II over an area of land around Hudson Bay, known as “Rupert’s Land.” Rupert was a Prince of the Rhine, King Charles’ cousin, and HBC’s first governor. Canadia – Plays on Canadian. Canuckia – Canadians are sometimes referred to as Canucks, so this is the nounal form of that nickname. Lumberjack Country – Known for its large lumber industry, Canada is said to be full of lumberjacks. The North – Refers to geographical location. England’s Castoff Country – Canada used to be a colony of England until their independence in 1867. Nova Britannia – New Britain, since Canada was a protectorate of England. 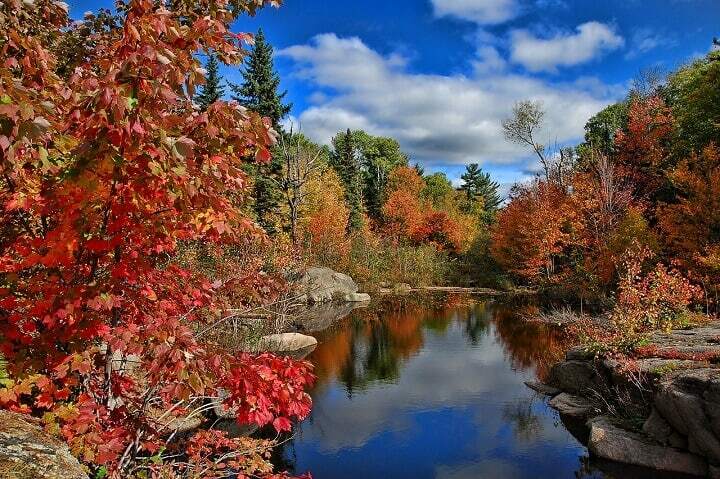 Land of Maple Syrup – Maple syrup is a major export of Canada due to the prevalence of maple trees. America’s Hat – Canada sits geographically on top of the US, like a hat. The 51st state – An American term joking that Canada is the US’s 51st state. The 14th colony – An American nickname that plays on the original 13 colonies of America and that Canada was its 14th colony. Cold Mexico – Because Canada border the US, this nickname conflates American neighbor Mexico. Victorialand – An original proposal for the official name of Canada in honor of Queen Victoria, who granted the charter. 51st Stater – An American slur for Canadians joking that Canada is America’s 51st state. Angie – A diminutive for Anglophone, or English-speaking Canadians, as opposed to French-speaking. Bay Frog – Refers to those Canadians from Hudson Bay that are French descendants from Quebec. Canuck – The most well-known diminutive of Canadian. Canucklehead – A diminutive of Canuck, which is a diminutive of Canadian. Canyada – Another American term that conflates Canada with its neighbor to the south (Mexico). Cheeser/Cheesehead – Refers to Canadians who cross the border into Washington to get reduced prices on cheese. Dryback – A problematic term for Canadians who illegally cross the border into the US; plays on Mexicans who cross the Rio Grande (wetbacks). Frostback – Related to dryback, relates to cold winters. Iceback – Related to dryback, relates to cold winters. Snowback – Related to dryback, relates to very snowy winters. Pineback – Related to dryback, refers to large pine forests in Canada. Hoser – A popular terms for Canadians; usually refers to a white man who drinks lite beer and watches hockey. Mape – A shortening of ‘maple’; the maple leaf appears on the Canadian flag. Maple-sucker – Someone who consumes a lot of maple syrup. Nade – A diminutive of Ca-NADE-ian. North Mexican – A term from Americans that conflate Canadians with Mexicans, because it borders the US to the north. Puck – Refers to Canada’s love for their national sport, hockey. A puck is the ‘ball’ hockey player’s use. Puck-chases – Another allusion to Canadian love of hockey. Puckhead – Another allusion to hockey-lovers; usually refers to a dumb guy who plays hockey. Rubberhead – Another, unfortunate, allusion to hockey. Because hockey can sometimes be a dangerous, even violent sport, heads bounce off the ice like rubber, or like a puck. In our nickname guide, we mentioned that you could give someone a nickname based on their city or state. For example, In the United States, someone from New York could be called a “New Yorker.” Similarly, in Canada, there are several nicknames for people that are based on their city or province. Bogtrotter – someone who lives in New Brunswick and other Atlantic provinces due to the number of lakes and ‘boggy’ land. Coastie – someone from Vancouver or the lower mainland. Maritimer – someone from the Maritime Provinces of New Brunswick, Nova Scotia, and Prince Edward Island. Newfies or Newf – someone from Newfoundland. Blue-eyed Arab – A somewhat problematic nickname for someone from Alberta due to the oil and gas industry. The following are nicknames of Canadian provinces and their cities. Alberta’s Centennial City – Brooks became a city on Canada’s 100th anniversary. C-town – Obviously Calgary starts with a ‘C,’ but it might play on Cowtown as well. Cowtown – Famous for the Calgary Stampede, cattle are aplenty in Alberta. Heart of The New West – Comes from the city’s former slogan. Mohkinstis – Traditional name of Blackfoot in the Calgary area. The Stampede City – Due to the famous rodeo, The Calgary Stampede. Sandstone City – In 1866, the Great Fire destroyed most of Calgary’s buildings, which were made of sandstone. The Rose City – Due to the large number of wild roses that grow here. The Big E – Edmonton begins with ‘E,’ and it is one of the largest cities in Alberta. Canada’s Festival City, or Festival City – Many festivals, music and otherwise, are held in Edmonton. This was also the unofficial city slogan. Canada’s Richest Mixed Farming District – An agricultural region with many different crops. It was once the unofficial city slogan. City of Champions – This was an unofficial city slogan touted by former mayor, Laurence Decore, and how he characterized Edmonton after the community’s swift response to the 1987 tornado. Crossroads of the World – By its location in central Alberta, it is a gateway between eastern and western Canada. It was also an unofficial city slogan. Deadmonton – A comedic nickname used by British reporter, Robert Philip, during the 2001 World Championships in Athletics that colored Edmonton as a boring place to live. It re-emerged in 2011 because of an increase in the homicide rate. Stabmonton – Another nickname that unfortunately refers to an increase in violent crimes in 2010-11. Since firearms are more difficult to procure in Canada, a lot of these violent crimes were perpetrated by assailants wielding knives. 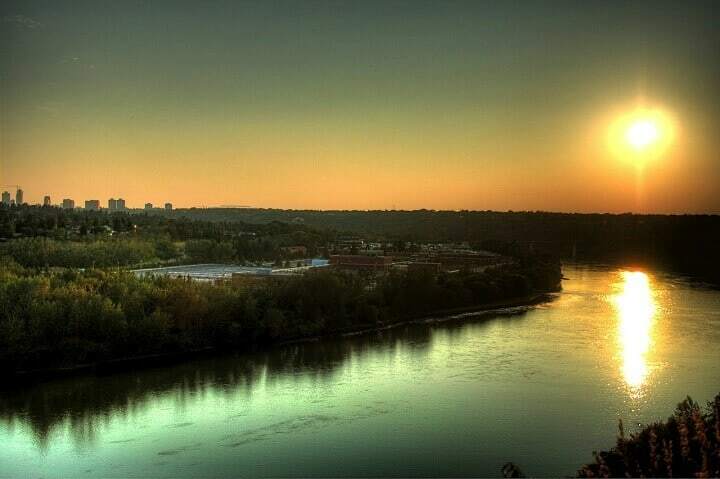 Gateway to the North – Edmonton sits on a major roadway to the Northwest Territories. It was also an unofficial city slogan. 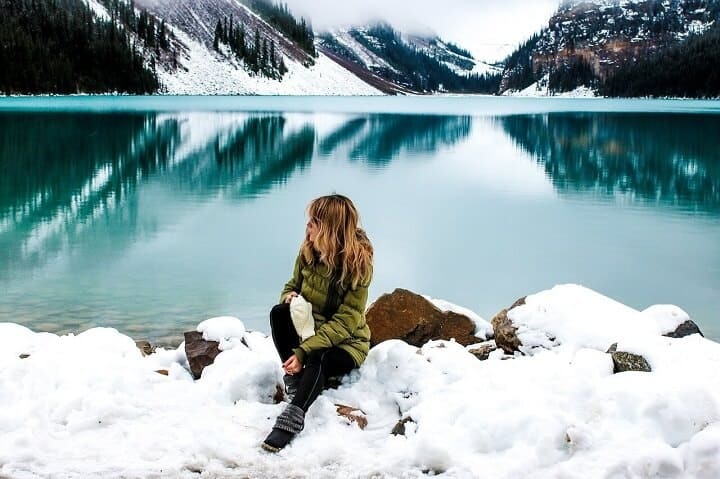 Heart of Canada’s Great North West – Edmonton stands between the plains of Saskatchewan and the great mountain ranges which span Alberta and British Columbia. It was also an unofficial city slogan. Official Host City of the Turn of the Century – Edmonton became a city in 1904 and attracted many artists, inventors, and musicians. The Oil Capital of Canada – There is a large supply of oil in Alberta, and many of the people who run Canada’s oil industry are located in Edmonton. This nickname dates back to 1947. Redmonton – Refers to Edmonton being home to many liberal parties in the province. River City – Edmonton sits along the North Saskatchewan River and its tributaries, The Blackmud Creek, Oldman Creek, Whitemud Creek, and Rat Creek. Smart City – Edmonton boasts a confluence of technology, innovation, and collaboration across many disciplines. Top of the World – Edmonton is located rather far north and is one of the last densely populated cities in Alberta before moving into the rural north. Volunteer Capital of Canada – Many volunteers, military or in the nonprofit sector, come from Edmonton. Fort Mac – A shortening of the city’s full name. Fort MacMoney, or Fort McMoney – Comes from a 2013 documentary and strategy video game by David Dufresne about the Athabasca oil sands in Fort McMurray. Fort McMordor – A play on Tolkien’s evil land, Mordor, in the Lord of the Rings trilogy. St. John’s North – Named for St. John the Baptist Mission. Fox Vegas – A small town with a big personality; many flock here for the oil and gas industry, so the area has become affluent. Swan City – Due to this city’s location near trumpeter swan migration route of summer nesting grounds. Border City, or Canada’s Border City – This city sits right on the border between Saskatchewan and Alberta. Heavy Oil Capital of Canada – Famous for its oil and gas industry. The Windy City – Located near the Canadian Rocky Mountains, the city experiences warm summers, mild winters, and a very windy climate. The City with All Hell for a Basement – This nickname comes from poet Rudyard Kipling, who spent a few days in Medicine Hat. He wrote of the natural gas that lies below the city. The City with Energy – Refers to the oil and gas industry. The Hat – A shortening of the city’s formal name. 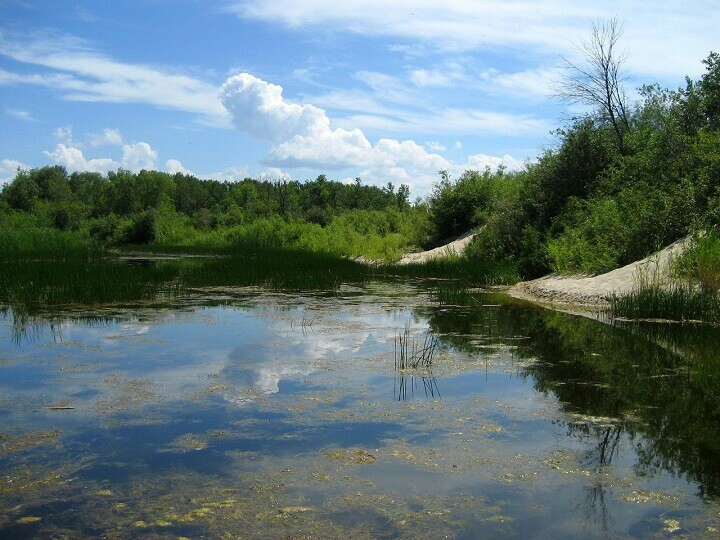 An Oasis on the Prairies – It is a middle point and civilized respite in the expansive prairies of central Canada. Dead Rear – A spoonerism of the city’s formal name. 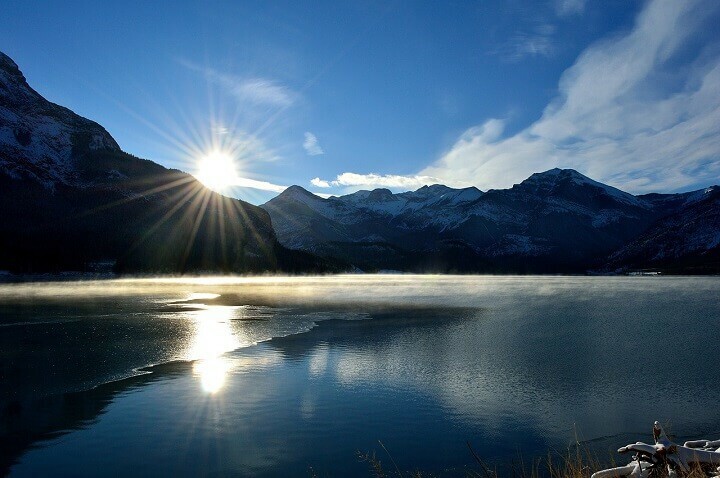 The Heart of Alberta – Geographically located in the central part of Alberta. Snowmobile Capital of Alberta – Because of Whitecourt’s forestry heritage, it has one of the largest snowmobile clubs in the province. Berry Capital of Canada – Many wild berries grow in this region, from blueberries to raspberries to blackberries. City in the Country – A little bit of civilization nestled in the countryside. Salmon Capital of the World – Many fish the river for salmon, although the nearby town of Port Alberni also claims this title. The Tournament Capital – Kamloops hosts many tournaments each year in large sports facilities like The Tournament Capital Centre, Kamloops Bike Ranch, and Tournament Capital Ranch. Bee City – There has been a major effort in Kamloops to protect and create bumblebee habitats. Orchard City – Known for the fruit industry in the Okanagan Valley. The Four Seasons Playground – Tourists travel to the area year-round. Harbour City – Located on the east coast of Vancouver Island. Hub City – Attributed to the layout of the city which had streets radiate out from the shoreline like spokes on a wagon wheel. Queen City of the Kootenays – Name for Kootenay Lake in the Southern Interior of British Columbia. Known for its restoration of the heritage building on famous Baker Street. New West – Shortening of the formal name, but it also calls attention to the westerly location of the city. Royal City – This town was given its name by Queen Victoria, hence the nickname. Wine Capital of Canada – This town boasts many vineyards and wineries. The Peach City – Many peach orchards in this area; every year it hosts the Penticton Peach Festival, or Peachfest. Salmon Capital of the World – Its Rivers are heavily fished for salmon, though the nearby town of Campbell River also claims this title. PoCo – A portmanteau of the formal name. Pearl of the Sunshine Coast – A coastal city which wanted to draw settlers to its picturesque landscape. Cultural Capital of Canada – Following a huge initiative in 2004, Powell River implemented many arts and cultural programs. City of Parks – This city is outfitted with many natural and man-made parks. Home of Champions – Honors citizens of the Greater Trail area who have been leaders in business or sport. Silver City – Many flocked to the area to mine for silver. Now, there is the annual Silver City Days festival honoring this past. 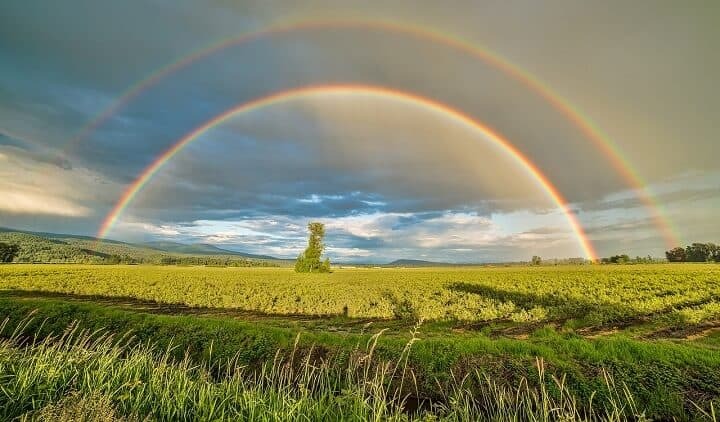 Rain City – Vancouver receives a crazy amount of rain, on average about 47.2 inches a year! Terminal City – Part of Vancouver, called Gastown, is the western terminus of the Canadian Pacific Railway. Saltwater City – A nicknames given by early Chinese immigrants. Hollywood North – Vancouver is the fourth-largest film towns in North America, after Los Angeles, New York City, and Toronto. The Big Smoke – Due to the heavy fogs which blanket the area as well as pollution from sawmills and other industries. Vansterdam – Similar to Amsterdam, Vancouver is known for its relaxed attitude about recreational drug use, mostly marijuana. Lotusland – Noted by Allan Fotheringham article in the Vancouver Sun as a literary reference to Homer’s The Odyssey. Odysseus’ homeland is said to have been drugged by a lotus narcotic, so this may be a reference to the heavy drug use in Vancouver. City of Glass – A name taken from writer, Douglas Coupland to describe the architecture of downtown. No Fun City – Vancouver has long been chided for having a lacking music scene and a lame nightlife. Blandcouver – Used self-deprecatingly to draw attention to the lack of diversity. Hongcouver – Though a bit racist, this nickname notes the large population of those with Chinese heritage. There was a large influx of people from Hong Kong in 1997 during the British handover. Van – Diminutive of the formal name. Vancity – Comes from the Canadian hip-hop community. The Garden City – Victoria is lush with flowers and gardens due to its fertile soil and proximity to freshwater. City of Newly Weds and Nearly Deads – The two largest demographics in Victoria are seniors and young families. Wheat City – Agricultural economy supported mostly by wheat and grain. Polar Bear Capital of the World – A slogan to attract tourists to its large population of polar bears. Automobile City – Economy relies on automobile manufacturing. The Centennial City – Thompson was incorporated as a city on Canada’s centennial year, 1967. Hub of the North, or Hub City – Thompson is the largest city in Manitoba and provides many goods and services to the more rural surrounding towns. Nickel City – Thompson was involved with the mining, milling and concentrating of nickel. It so happens that the town sits on a huge, high-grade deposit of nickel. Chicago of the North – A lot of the city’s architecture was influenced by late 1800s, early 1900s architecture in Chicago. Gateway to the West – Situated on the eastern edge of the Western Canadian prairies. Negativipeg – Coined by Burton Cummings, the singer for The Guess Who, who was assaulted at a 7-Eleven. The Peg – A diminutive of its formal name. Slurpee Capital of the World – Winnipeg has held the crown most Slurpees consumed for eighteen years running. Winnerperg – A chant that can be heard after the Winnipeg Jets win. Winterpeg – Named so for the long, harsh winter season. The Wholesale City – Wholesale distribution began just after WWI in western Canada due to the difficulty in shipping goods from the older, more established east coast. Winnipeg was a leader in wholesale development. City of Stately Elms – The Saint John River feeds large elms that grow lush through the heart of the city. Hub City – Moncton used to be a junction city in New Brunswick, like a wagon wheel where all spokes or roads meet. Canada’s Most Irish City – During the Great Irish Famine, many Irish emigrants settled in Saint John. Loyalist City – Many American British loyalists fled to Saint John during the American Revolution. Port City – Saint John played a pivotal role in the shipbuilding industry in the 19th Century. 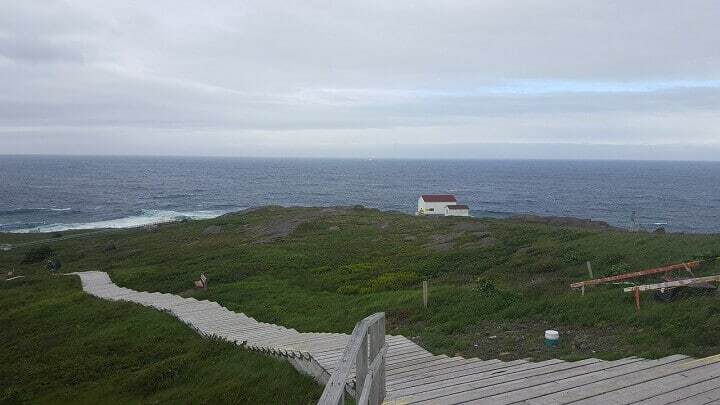 Crossroads of the World – There aren’t too many roads in this part of Newfoundland. Gander sits in the middle of the scenic Route 1. City of Legends – As one of the oldest cities in North America, St. John’s has had all the time they need to make legends. Sin Jawns – Plays on the heavy accents found in St. John. Town – Since there aren’t really any other towns around, you know which ‘town’ you’re referencing. The Iceberg Capital of the World – Twillingate is very cold and near a lot of water, a perfect recipe for icebergs, of which there are plenty. Busy Amherst – Amherst was an industrial giant in the Maritime Provinces during the early 20th Century. The ‘Nish – A diminutive of its formal name. Apple Capital of Nova Scotia – Apple orchards are plenty in Berwick. City of Lakes – There are many lakes that surround Dartmouth. The Darkside – A play on the phonetics of Dartmouth. Scallop Capital of the World – A town with a fleet of fishing boats to scoop up all those scallops in the bay. City of Trees – Due in part to a mandate, Halifax is very green and boasts many parks and shaded walkways. 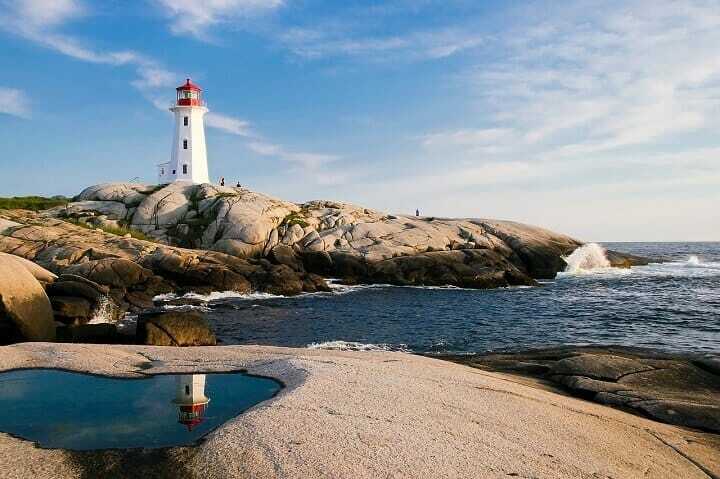 Haligonia – The nounal form for people who reside in Halifax (Haligonian). Blueberry Capital of Canada – Oxford is situated in Cumberland County which is famous for its blueberries bushes. 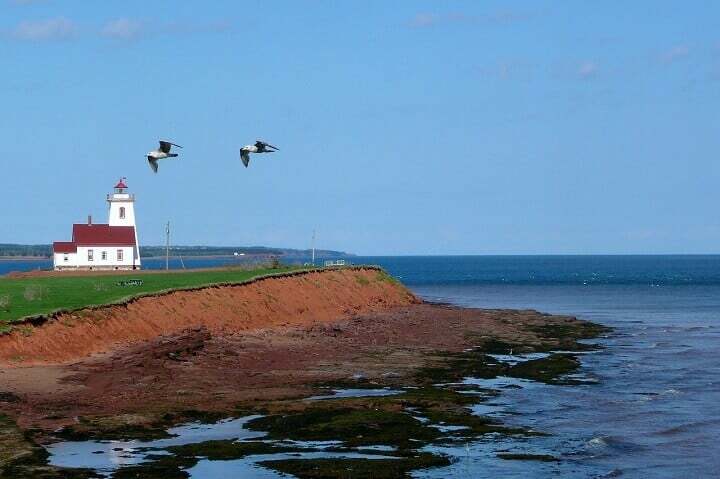 The Birthplace of New Scotland – Pictou was the landing place for the Hector, the ship which carried the first Scottish immigrants to North America. Bramladesh – A bit of a derogatory nickname that refers to the large South Asian population, mostly those from Bangladesh. Browntown – Another derogatory name which refers to the large population of non-white people. Flower City – Given due to the wildflowers which grow here and its only non-racist nickname. Bell City – The Bell Telephone Company started here and has grown to become quite a monopoly in Canada. The Maple City – Lots of maple trees grow here (as opposed to the rest of Canada? ), and maple syrup is produced. The Classic Car Capital of Canada – RM Sotheby’s (formerly RM Auctions) runs a lot of classic car events in Chatham. The Royal City – The city’s founder, John Galt (no, not the guy from Atlas Shrugged), named Guelph to honor the British royal family, the Hanoverians, who were of the House of Welf. Ambitious City – Credited to the journalist, Robert Smiley, who allegedly won a war of words with a rival newspaper who said that Hamilton’s ambitions far exceeded its talents. Smiley wrote that “Ambition” would be a worthy and proud nickname, and it still sticks 170 years later. The Hammer – There’s a great mystery as to why Hamilton is called The Hammer. Famed journalist, Paul Wilson, wrote a column on the nickname and surmised that businesses just started incorporating the Hammer into their names until it stuck. Steeltown – Large steel industry in Hamilton. The Limestone City – Many of the older buildings downtown were constructed of limestone. K-town – Used by local businesses and radio stations. The Tomato Capital of Canada – This region produces a lot of tomatoes for export. The Forest City – The British actually coined this term to make fun of Governor Simcoe who had dreams of a large, prosperous city when he only managed to build a small village cut out from the trees. Canada’s High-Tech Capital – Kind of like the Silicon Valley of Canada, where lots of start-up tech companies come to live. Honeymoon Capital of the World – Of course, famous for that humongous waterfall, lots of people have honeymooned here for the romantic atmosphere… of casinos and Ripley’s Believe It Or Not. Well, if it’s good enough for Superman and Lois Lane…. Smoothie Capital of the World – The most smoothies are sold here annually than anywhere else in the world. Canada’s Motor City – Large automobile manufacturing industry. The ‘Shwa – A slang diminutive of its formal name. Bytown – This used to be the official name of Ottawa before 1855. Capital City – Ottawa is the capital city of Canada. The City That Fun Forgot – A nickname used derisively by residents who complain that there’s not much culture or night light. Electric City – It was the first town in Canada to use electric street lights. Scarberia – Located Far East of Toronto, this town is rather remote and barren. Plays on Siberia in Russia. Scarlem – Compares its crime rates to what used to be the high-crime rate in Harlem, New York. Nickel Capital – Large nickel deposit near the city. Lakehead – Thunder Bay is situated on the northern side of the Great Lakes. Centre of the Universe – Since Toronto has so often been compared (or desperately tried to compare itself) to New York City, they stole this nickname which too belonged to NYC. 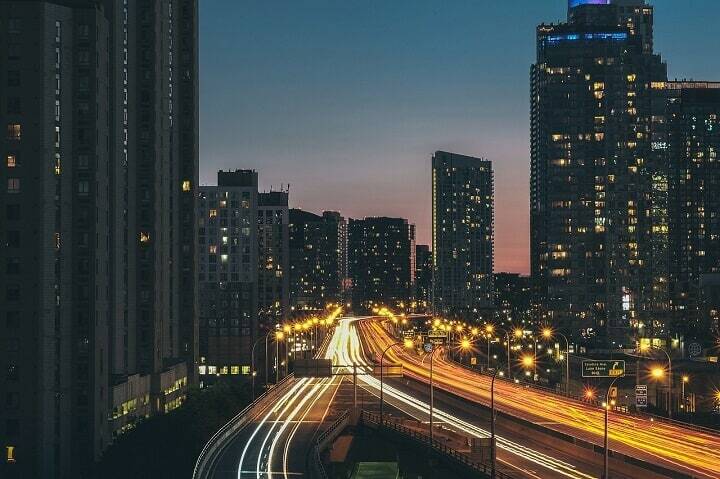 The Megacity – Toronto just seems to swallow up the surrounding towns to become one giant city. It’s one of the largest in North America. The City That Works – Written in Harper’s Magazine, by Anthony Astrachan in 1975 in reference to successful and well-executed urban planning. The Big Smoke – Due to industrial factories which produce pollution and smog. Hogtown – There are many origin stories for this nickname. Some think it refers to a large pork processing plant called, William Davies Company. Others link it to a derivative of an Anglo-Saxon word, Eoforwic, which translates to “wild boar village.” Or, it could come from an old bylaw that charged a 10-cent-per-pig fine on anyone who let their livestock run free in city streets. Toronto the Good – Coined by William Holme Howland in reference to the influence of Victorian morality in the city. Queen City – Mostly what French-Canadians called Toronto, La Ville Reine. City of Churches – There are copious amounts of churches in Toronto. Hollywood North – Toronto is huge in the film industry, behind Los Angeles and New York. Broadway North – Toronto has a New York complex and has even built its own Time Square, called Dundas Square. Although, it’s not completely unfounded; Toronto boasts the world’s third largest English-speaking theater district. The 416 – This is the area telephone code. The Six – A nickname actually coined by Drake, the Canadian rapper and actor, which he explained comes from the 416 area code. K-Dub – A conjunction of Waterloo and the nearby city of Kitchener. City of Roses – A lot of Wild roses grow in Windsor. Automotive Capital of Canada – Large automobile manufacturing industry. Birthplace of Confederation – The Maritime Provinces (New Brunswick, Nova Scotia, and PEI) met with the Province of Canada (Ontario and Quebec) in Charlottetown to agree on the North American Confederation, which eventually became Canada. 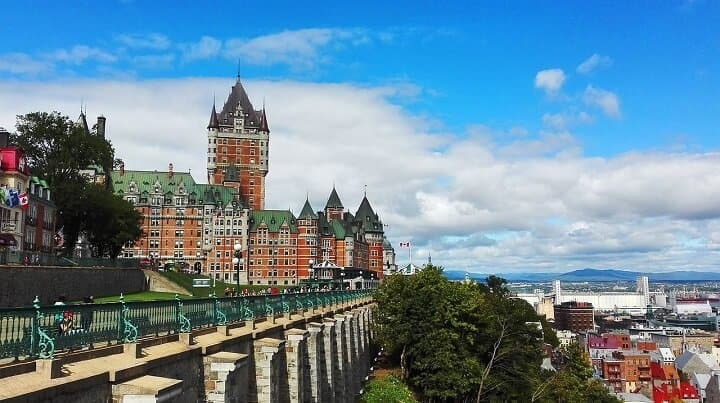 Quebec’s Metropolis (La Metropole du Quebec) – The largest and most cosmopolitan city in Quebec. The City of Saints – Many of Montreal’s streets are named after holy people who’ve been canonized, for example, St. Urbain, St. Elizabeth, St. Catherine. La ville ancien cent clochers, or The City of a Hundred Steeples – There are many beautiful and extravagant churches and cathedrals. Sin City – During the Prohibition Era, it was a little easier to find a drink in Montreal. The City of Festivals – Montreal hosts many festivals throughout the year— even IglooFest in the winter, during which everyone dresses in snowsuits and dances at an outdoor club. La Vieille Capitale, or The Old Capital – A much older, and much more “French” city than Montreal. Canada’s Hockey Factory – Many professional NHL players come from Kelvington. The M.F. – An acronym for Maryfield. Band City – Moose Jaw boasts a large and thriving music scene. The Jaw – A diminutive of the formal name. Little Chicago – Al Capone bootlegged liquor in the tunnels underneath Moose Jaw, much like he controlled the mafia in Chicago. The Friendly City – Locals of Moose Jaw are incredibly hospitable. The Sand Capital of Canada – During the construction of a railroad through the region in 1882, Pilot Butte was used for its gravel and sand deposits. P.A. – An acronym for Prince Albert, not to confuse those from Pennsylvania. The Queen City – Regina is the Latin word for Queen. Pile o’ Bones – Large amounts of bones were left behind by hunters and trappers prior to its industrialization in 1882. The City That Rhymes With Fun – The nickname functions on two levels – It plays on the fact that Regina is rather remote and doesn’t have much of a nightlife. It also rhymes with the female genitalia…. The Bridge City – This city has nine bridges over waterways. Hub City – Urban planning after the spokes on a wagon wheel, with a central hub. Paris of the Prairies – Refers to the many bridges crisscrossing the city, much like Paris. POW City – Named so for its plentiful resources of Potash, Oil, and Wheat. Saskabush – ‘Bush’ is Canadian slang for wilderness, hence this diminutive. 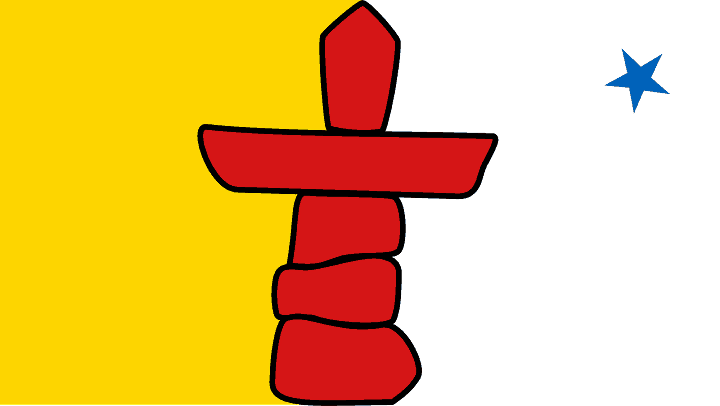 Stoon – A contraction of Saskatoon. Toontown – A suffix of its formal name and a play on Disney’s “Toontown” which was full of our favorite cartoon characters. The Town That Wouldn’t Die – This small city defied all odds, including a flood, a frail government, and the expectation that it would die. But, guess what? It didn’t. Tropics of the North – Located in the relative southern part of the Territories, Fort Liard actually experiences some long hot summers. Fort Res – A diminutive of its formal name. 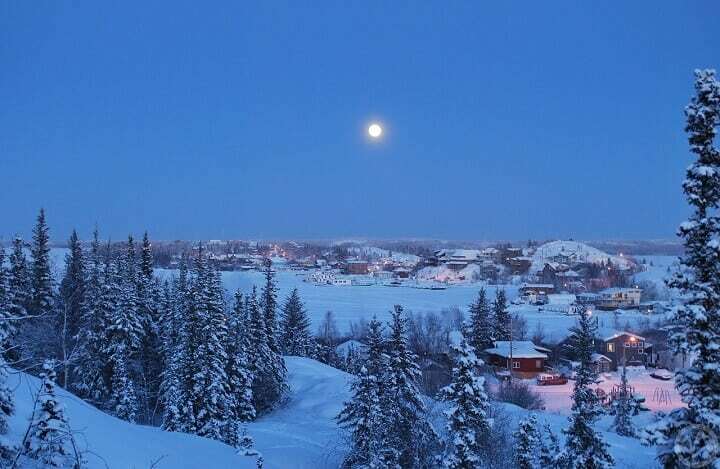 Graden Capital of the North – Due to its location, this is a relatively green region of the Northwest Territories. Hub of the North – This is a large city for the region and supplies many goods and services to the more rural areas. Whitefish Capital – The waters near Hay River are fished primarily for whitefish. Tuk – This city needed a diminutive for all those syllables. YK – An acronym for Yellowknife. Switzerland of the Arctic – The landscape is reminiscent of Switzerland, due to snow and higher elevation. 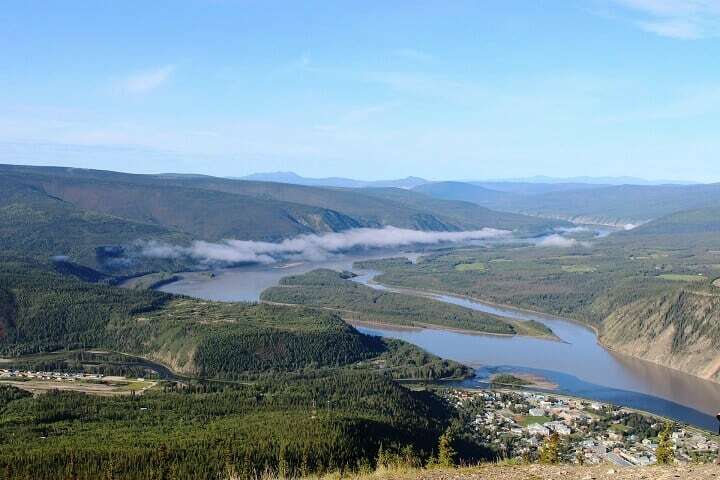 The Wilderness City – Whitehorse is very remote and abuts true wilderness. 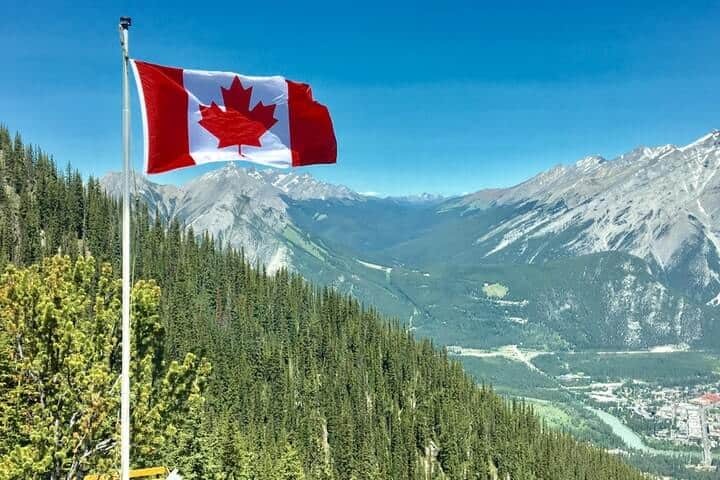 To end this article, we are going to leave you with this hilarious rant on Canada from the award-winning Tv show – Shameless (US).